I hope you all had a wonderful Thanksgiving! We had so much fun being with family. Now, I’m getting so excited for the Christmas season! We have our tree, lights and stockings up and it makes our home feel so cozy. This weekend, we switched out sensory tubs to a Christmas one. The boys really enjoyed playing with it. So to start making it, you’ll need to die dry pasta. Here’s what you’ll need for it. So what you’ll do is dump the pasta in a Ziploc bag and pour alcohol in it until all the noodles are wet (about half bottle). Then pour the food coloring in. Shake until all the noodles are colored. Then let sit for 5-7 minutes. 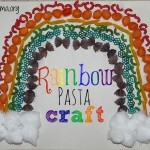 Then you’ll lay the noodles on cookie sheets lined with parchment or wax paper. Let it dry (overnight is best). And of course you could add whatever you’d like to the sensory tub! I let my kids have tongs, different sizes of containers, funnels, etc. to play with. They love it! This was Wes’ favorite sensory tub. He really liked feeling the noodles and putting them in the cup. Oh and he also really liked shaking the bell! 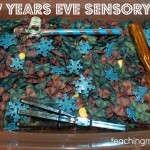 So there you have it…a fun Christmas sensory tub! THANK YOU! Yes, it would be fun for blanket time! It can get messy, but keeps the kids occupied for awhile. Love the Christmas sensory table – definitely going to do this for Kaila. I just picked up 1000 Gifts this weekend – can not wait to start reading it. I have a list of Christmas books I would love to pick up to read to the kids. Thanks!! Kaila will love it and it’s really easy to set up! Oh and you will really enjoy 1000 Gifts. It gives a new meaning to being thankful. Hope you win the giveaway! I think my 2 yr old would LOVE those lace up cards! Cute blog! Thanks Sarah! Yes, I think they look so much fun. Thanks for your comment! Angela, you have the cutest ideas! Thx for all the specific instructions you give. Totally going to make the Christmas sensory tub. Thanks, Sharla! I’m sure your little ones will love playing with it. Hope you’re doing with 4 kiddos now! 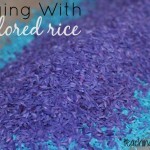 So glad I found this blog! I love the lacing cards- I would love to buy those for our boys! Thank you!! I know, those lacing cards look so fun! Thanks for your comment! LOVE your blog Ang! Super excited for you! I have ten million things I could buy with this gift card.. love the giveaway 🙂 hello to your boys! Thanks, Kristen! Love you, friend! 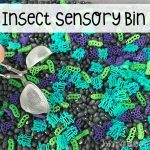 Love the sensory tub idea!!! We would buy some new books for the kiddos with the giftcard! Thanks for the chance! Thanks so much for your comment! Hope you will try the sensory tub. Good luck! I would buy some Christmas presents!! Yes for sure! Thanks for your comment, Liz! I love that sort & snap color match game… I will definitely have to get that! I know it looks so fun for little ones!! Thanks for your comment and I hope you’re doing well!! 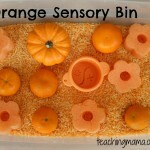 Love the sensory tub for my 7 grandtoddlers. But wondering about the mess with the colors staining hands , clothes? Did yo have any trouble with that? Hi! It doesn’t stain anything. Once the color dries, then it doesn’t rub off. Hope that helps!